What Is The Definition Of Slashing In Hockey? 1. 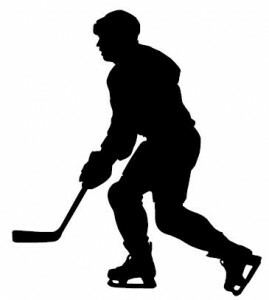 Slashing is a penalty that occurs in ice hockey. A player gets called for a slashing penalty when the player swings their hockey stick at a player, whether they make contact or not, or if they break the other player’s stick. The penalty for slashing can range anywhere between a minor or major penalty, and it is up to the discretion of the referee who determines how severe the infraction was, the intention of the offending player and the area the offending player slashed their opponent. 1. Lindros receives the pass near the blue line and tries to bring the puck up closer to the net to attempt a wrist shot, when he gets slashed across the forearms, stopping play. He’s clearly in pain and heads to the bench, while Brown goes to the penalty box where he’ll serve two minutes for slashing. Although a player can be called for a slashing penalty for swinging their stick and not making contact with their opponent, there are some instances that a player won’t be called for slashing if contact is made. For example, if a player tugs at their opponent’s pants, or makes contact with the pants or pads in a non-aggressive manner, slashing is not called. Again, a slashing penalty is up to the discretion of the referee and usually depends on the player’s intention when they are swinging their stick.